Every few months I boot up my Google machine and search for “wireless earbuds.” I have great over-the-ear headphones that I love, but there are just too many times when I need something more portable. That forces me to deal with problems like durability and fit, and the fact that the wires on every pair of earbuds seem to fail, like clockwork, every six months. My search always yields results, but never the ones I’m looking for. I want the wires gone. Ryan Reynolds knows what’s upThat is the GIF that David Pierce and I passed back and forth to each other after he got our Moto Hint review unit in. (It’s also become the reference point for nearly the entire internet when it comes to the concept of wireless earbuds.) The Hint wasn’t our favorite device, but it fit in my ear so well that my desire for a pair of wireless in-ears skyrocketed over the last few months. It’s taken a long time to get here, but a few companies showed up at CES with some production models that are nearly ready to hit the market in 2015. I set out around Las Vegas to give them a listen. The best headphones I tried — and the ones I’ll be tempted to buy as soon as they are available — were the touch-enabled Bragi Dash headphones. They are exactly what I’ve wanted. The seal and the friction from the rubber keep the buds in place and are surprisingly comfortable, and they’re light enough that they don’t feel like they would pull themselves out. That’s no surprise, because the company is run by the former head of design at Harman Kardon, and the COO was a senior VP at Jabra. In the two years they spent building the Dash, the Bragi team used ear molds acquired from hearing aid companies. They also 3D-printed prototypes specifically to fit those molds, opting not to use the less-precise method of injection molding. There’s even a cool charging case that can charge them up to five extra times. The music I listened to sounded great, even though I was surrounded by the din of the Sands convention center. The noise canceling was a little too noticeable, but otherwise I was impressed by the depth and clarity. IT’S MORE THAN JUST AN EARBUD The Dash is meant to be more than just an earbud, a trend I found was common with these early-to-market companies. As CEO Nikolaj Hviid told me, the Dash is also supposed to be an assistant. Not only does it have fitness sensors, but the built-in accelerometer can allow for gestures — or “macros” as Bragi calls them. By tilting your head up, for example, you could have a voice read you the weather forecast. If a call comes in, you could nod to answer or reject it. Those macros can be swapped, disabled, and programmed to other functions, too. Eventually Bragi wants them to be able to work independently instead of with your phone over Bluetooth. 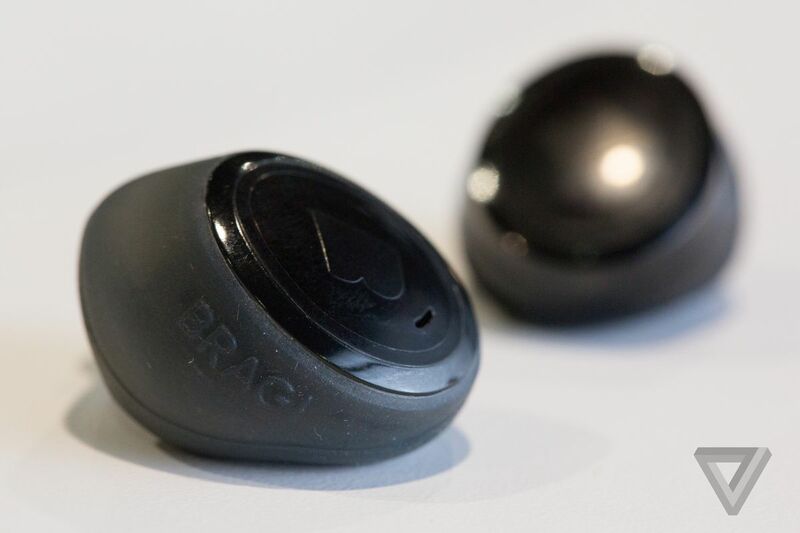 Bragi is aiming to ship in April, and the Dash headphones will cost $299 in Europe and through online retailers. I’ve never really wanted more functionality from my headphones, but it was hard to find any devices here at CES that didn’t have some sort of fitness tracking. Freewavz has totally embraced it: its earbuds are like the sport headphones we’ve seen for years, with plastic curving over the top and around the back of the ear to keep them snug during workouts. Like Dash, FreeWavz uses a mix of sensors to track and analyze your activity. They will sample things like your heart rate up to 500 times per second, which would be way past the rate of many fitness bracelets. Outside of that, the finished product will have a bunch of other features like noise canceling, adjustable frequency levels, and text-to-speech. The more polished versions of the FreeWavz prototypeWhat I tried from FreeWavz was even more of a prototype than what Bragi had on hand — the working unit was 3D-printed and felt a little frail. But CEO Mike Kahn told me that the production version should weigh about the same, which would be wild: these headphones were very light. When I listened to music through them they sounded good enough, but could fare better away from the noise in the hall. The company had a more finished design in the Innovation Awards section, and I have to admit the renders of the version they want to ship in April look really beautiful. They’ll cost $249.99 then, but are available for preorder now for $30 less. Kahn said they hope to get them to retailers and sporting goods stores as well. 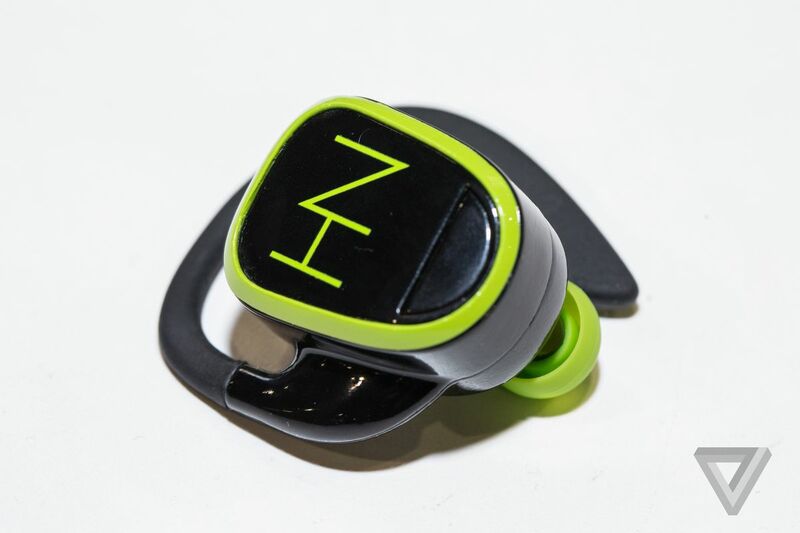 The last wireless headphones I saw this week were from a company called HearNotes. While they had the most polished-looking setup compared to Bragi and FreeWavz, it was the one company that wouldn’t let me try the headphones on. Still, should the product make it to market for its estimated $349 price, there are some interesting ideas behind it: the headphones are supposed to work over Kleer wireless, which is supposed to allow for lossless transmission. They’re also supposed to wirelessly charge within four feet of the carrying case. There’s no fitness tracking here; the focus is strictly on audio. WE’VE ONLY JUST BEGUN The good thing is that what I saw at CES is only the beginning. Just this week, another company popped up on my Google machine called Earin, and it too looks like what I had originally set out to find — simple, wireless earbuds. Its model is in pre-production now but is aimed for an early 2015 release, similar to the time frame for the companies here at CES. Until then, Bragi has my attention, and FreeWavz looks like it could be a great option for more fitness-minded people. If these devices can actually make it to market, there’s no doubt 2015 will finally be the year of wireless earbuds.